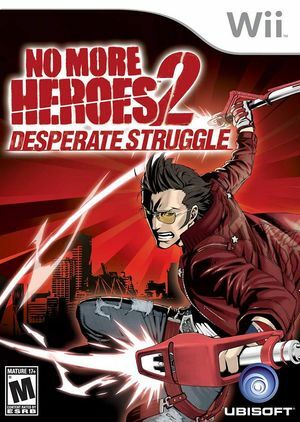 In No More Heroes 2: Desperate Struggle it has been 3 years since Travis earned the Number 1 spot in the United Assassins Association ranking, and investments from major corporations have caused the city of Santa Destroy to change... but is it really for the better? You are Travis Touchdown - a punk anti-hero , Japanese anime Otaku, beam katana master and pro wrestling-fanatic assassin. Revenge will bring you back to the UAA tournament. This time though, you begin at the bottom of the ranking and will have to fight your way up to save Santa Destroy and avenge your best friend. The game can be very slow in many parts of the game, mostly when there are many lights in the scene. Such can be solved via a speed hack shown on the forums. The graph below charts the compatibility with No More Heroes 2: Desperate Struggle since Dolphin's 2.0 release, listing revisions only where a compatibility change occurred.